A 2009 Nobel Laureate recognized for discoveries in the field of biochemistry will receive an honorary degree during graduation ceremonies at UBC’s Okanagan campus this June. 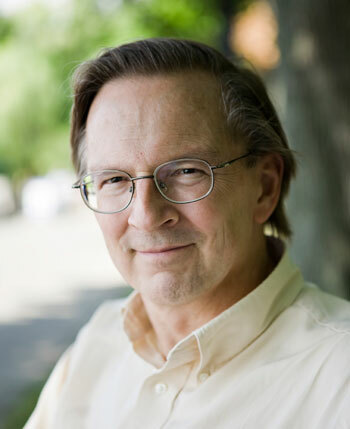 Jack W. Szostak began his academic career as a 15-year-old student at McGill University in Montreal. A passion for chemistry, combined with influential mentors along the way and a desire to ask questions nobody else was asking led Szostak to discoveries that have changed our understanding of the process of aging, and the biology of cancer at the cellular level. Among Szostak’s many achievements is the discovery that cells build and maintain telomeres, the protective caps at the tips of chromosomes, by using a special DNA synthesizing enzyme now known as telomerase. He and his research team are currently exploring the molecular origins of life -- seeking to understand how complex chemicals were able to self-assemble and combine to form simple organisms capable of reproducing and evolving. Szostak received the 2009 Nobel Prize in Physiology or Medicine, along with research colleagues Elizabeth Blackburn and Carol Greider. He is the Alex Rich Distinguished Investigator at Massachusetts General Hospital, Professor of Genetics at Harvard Medical School, Professor of Chemistry and Chemical Biology at Harvard University, and a Howard Hughes Medical Institute Investigator. He is a graduate of McGill University and holds a PhD from Cornell University. UBC awards honorary degrees in recognition of substantial contributions to society at the provincial, national or international levels. Szostak’s honorary Doctor of Science degree will be conferred during the 8:30 a.m. Convocation ceremony on Friday, June 6, at UBC’s Okanagan campus.